In past reviews, local authority areas were reviewed individually, and combined into larger review areas only in extremis. This time, although the Commission was encouraged to adopt the same policy, it hasn’t been practical because of the 5% rule and the presumption against splitting wards. The effect has been to create many orphans, and I’m going to take Birmingham as an example. In electoral geography, an orphan is an area which is “removed” from its county, borough or district and given to a different area. and Castle Bromwich, from Solihull. Why do I say this has happened because of the 5% rule? Well, Birmingham has an electorate of 731,731. This appears to entitle the city to 10 seats with an average electorate of 73,173. In the past that wouldn’t’ve been a problem. 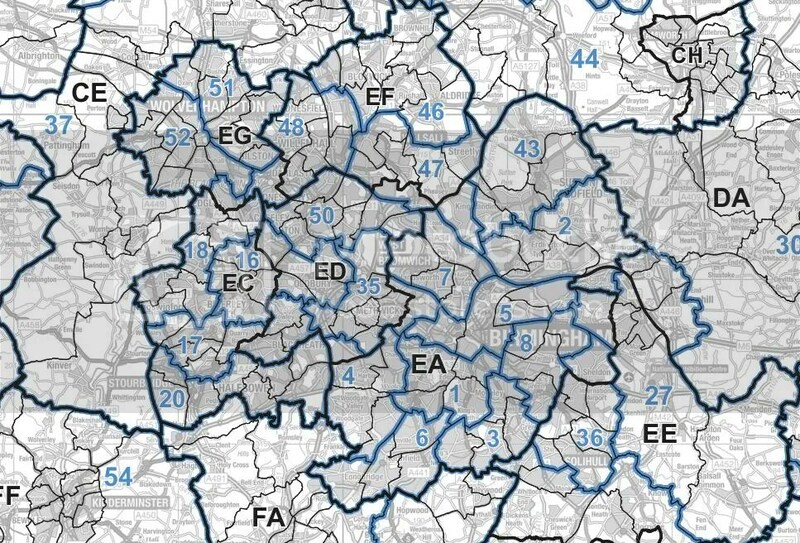 You could, for example, have a Harborne seat made up of 4 Birmingham wards with an electorate of 69,213. But now that’s not allowed – we’re faced with the task of dividing the city up without any of the seats having an electorate below 72,810. So the Commission has tacked* Old Warley onto Harborne to make the numbers up. Unless the law is changed, the only alternative to tacking would be to split wards. The Commission has scrupulously avoided this in its proposals, but during the review process we’re going to see lots of counter-proposals with split wards in them, and I’m sure the revised proposals, when they come out next year, will include quite a few. I’m not sure in Birmingham’s case. It would get very messy. I think the best we can hope for is to try and tidy up the eastern edge of the city, where every ward is an orphan.